VIS A VIS artlab cordially invites you to the open studio "Beijing Lighting" in Tongzhou, Beijing. 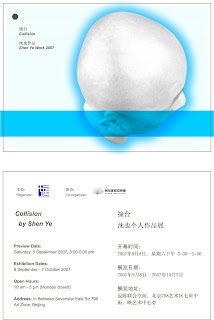 as peripheral exhibition programme of Art Beijing 2007. Exhibition venue: No.23, Yile Zhonglu St. Tongzhou District Beijing.